A beautiful multi-toned scarf to knit in a great lace pattern. The wavy lace stitch is deceivingly easy! 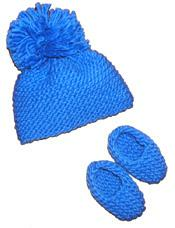 A simple combination of decreases and yarn overs is all it takes. The instructions are very easy-to-follow, with extensive explanations and NO abbreviations. This is a great project for the beginner ready to try out a lace stitch. Uses size 11 knitting needles. 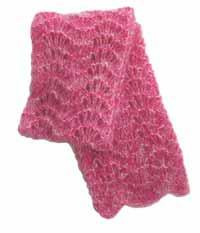 Knit in a super soft and airy mohair blend called GGH Soft Kid Mohair. The two-tone effect comes from holding 2 strands of yarn together throughout.